Chadwick Boseman followed in the footsteps of Chris Evans, Chris Hemsworth, and a whole host of elite superhero actors by getting seriously ripped for the reprisal of his role as T'Challa in Black Panther—but his Hollywood fitness journey actually started well before he joined the Marvel Cinematic Universe. Sadly for the rest of us, Boseman's bulging biceps, washboard abs, and lightning reflexes don't come from sitting on the sofa—they're the result of hours and hours in the gym, combined with a diet fit for a future Wakandan king. Want to know how Chadwick got chiseled? Read on. T'Challa isn't Boseman's first physically demanding role. 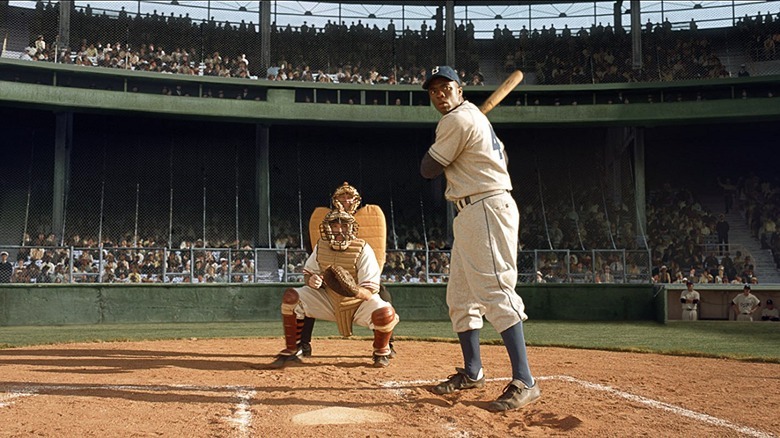 In 2013, he portrayed Jackie Robinson—the first African American to compete in Major League Baseball (MLB)—in the biographical drama 42. As well as capturing Robinson's off-field contribution to the civil rights movement, Boseman needed to appear authentically athletic for scenes on the field. Due to the nature of the game, professionals mix strength, speed and explosive movements, required for throwing or striking the ball at top speeds. To prepare, Boseman trained twice a day for three and a half months, following the same techniques as the pros. In an interview with GQ, he referred to the sessions as "madness" due to the strain such activity places on the body. "Their training," he pointed out, "is all about strengthening the tendons around the bone and the joint so you don't tear the muscles from the bones." Yikes. Boseman had the opportunity to put the training to the test when recapturing Robinson stealing base by sprinting from first to second. Doing this once is tiring enough, but director Brian Helgeland needed to shoot multiple times for different frame rates. Naturally with fast-paced action, things go wrong. As a result, in scorching heat, Boseman ended up shooting the scene a tendon-popping 50 times. As he later admitted, "I definitely had some moments stealing the bases when my body was like, 'that's it for the day'!" Aside from swinging hips and shuffling, Boseman's appearance as the Godfather of Soul, James Brown, must have been a breeze compared to 42, right? Wrong. When portraying a musician as influential as Brown, the pressure is on to not only sound the same, but to move the same, too. 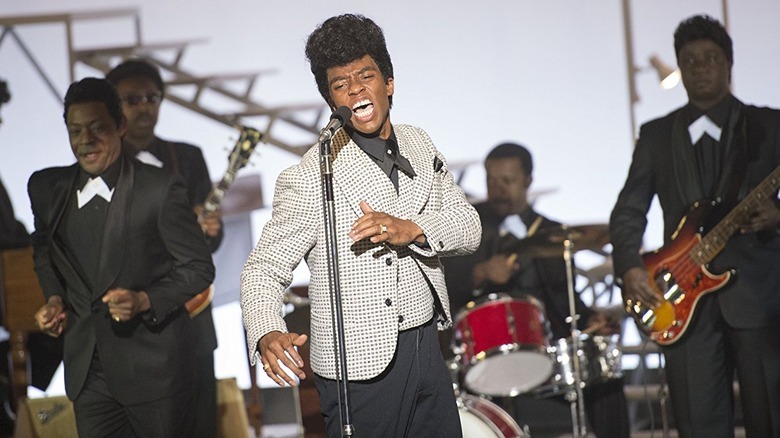 In preparation for his performance in 2014's Get on Up, to recapture Brown's electric stage presence, Boseman perfected his impersonation by practicing his dancing skills for up to eight hours every single day. Brown was an artist known for pushing the limits, which meant Boseman needed more in his repertoire than the funky chicken or a casual jive. In a preamble to Black Panther levels of flexibility, Boseman had to do the splits while filming—not once, but 96 times. The actor admitted that day's shooting was harder than any activity performed as Jackie Robinson. Who says Hollywood is all glamour? Diving to steal base, doing the splits and delivering dialogue with aplomb earned Boseman an invitation to the Marvel Cinematic Universe, making him the first actor to portray Black Panther in live action. 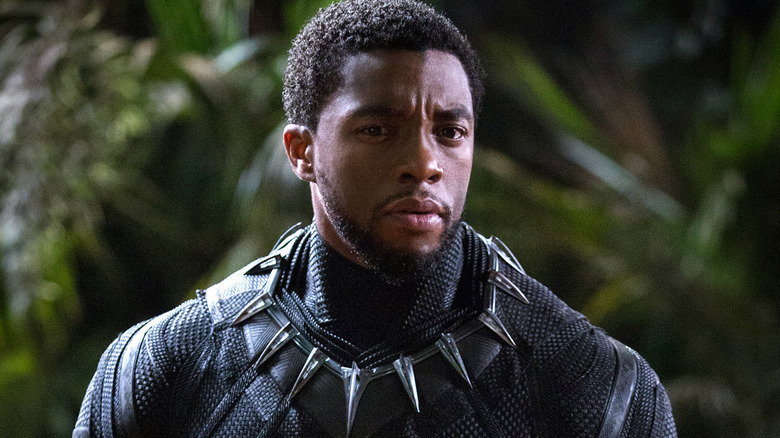 Making his debut in 2016's Civil War, Boseman was a standout performer, even when thrown into the mix with a superhero elite including Iron Man, Captain America, and Spider-Man. A huge part of T'Challa's allure comes from Boseman's acting performance. He brings an air of mystery, resilience and integrity, which illustrate mental toughness to match his brawn. Throughout the chaos of Civil War, T'Challa remains focused on his mission to avenge his father's death. But once his investigation succeeds, he displays humility by preventing his father's murderer, Helmut Zemo (Daniel Brühl), from killing himself. 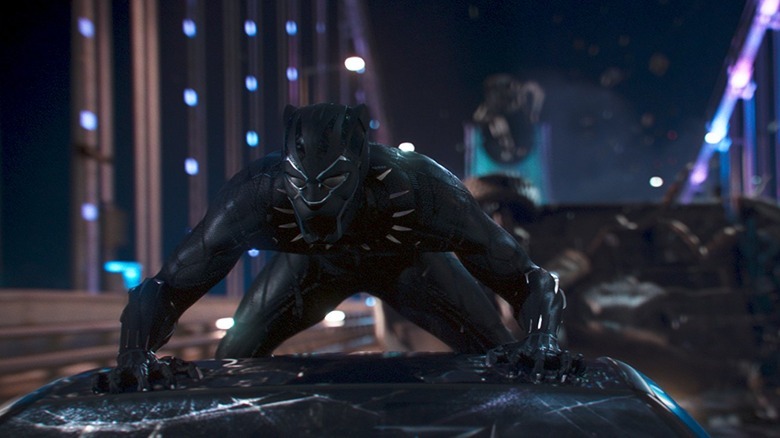 When costumed in Black Panther's slick black bulletproof vibranium outfit, Boseman puts his training to use. His unique fight choreography mixes brutality—intensified by razor-sharp retractable claws—and elegance, ensuring that the Wakandan wonder leaps out from the crowd. Though Boseman introduced Black Panther to the masses in Civil War, T'Challa has been a comics favorite for decades. In July 1966, the character first appeared in Marvel's Fantastic Four #52. T'Challa acquired his powers by ingesting the juices of a special heart-shaped herb as part of a mystical ancient ritual. According to legend, the herb, which grows only in Wakanda, is a gift from the Panther God. For those less spiritually inclined, the scientific explanation is that its magical properties are a result of a mutation caused by a vibranium meteorite, which crash-landed into the fictional African nation. 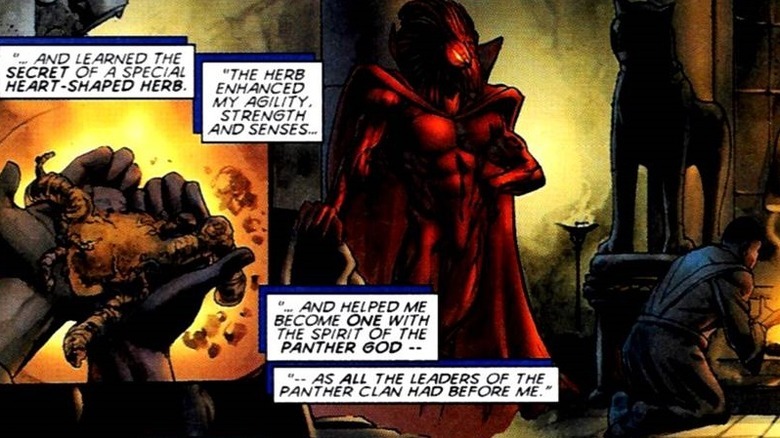 Whatever the herb's source, the ritual was a success, dramatically increasing T'Challa's senses. He can track scents, see in darkness, and hear an enemy's heart rate. He has heightened kinesthetic sense, superhuman strength, speed, and agility. To do justice to such a formidable character, it's no surprise Boseman needs to train intensely. Unlike some of his fellow MCU stars, Boseman has remained tight-lipped when it comes to divulging the secret of his regimen. When asked by E! News prior to Civil War's release, he refused to share any inside information for those looking to emulate his results: "[Training includes] a lot of strength and flexibility, but I'm not going to say any more. I can't say or reveal their training secrets." Though Boseman hasn't disclosed the specifics of his workout plan, all actors in the MCU are notoriously put through their paces, and he won't escape what Chris Evans refers to as "absolutely brutal" sessions. The key to achieving Boseman's lean physique lies with classic bodybuilding techniques, including circuit training and a substantial diet to add power to Black Panther's claws. Like Hemsworth and Evans, to pack on the pounds Boseman's weight training would need to focus on big compound lifts, such as bench presses, deadlifts and squats. However, it's not necessary for Boseman to grow to the size of his MCU compatriots. That means less focus on low repetitions (typically between three and five) of heavy weights. Instead, he could focus on higher repetitions (typically between eight and 12) with shorter rest periods (around 30 seconds), to promote muscle hypertrophy and increase lean muscle size for a more aesthetic appearance. 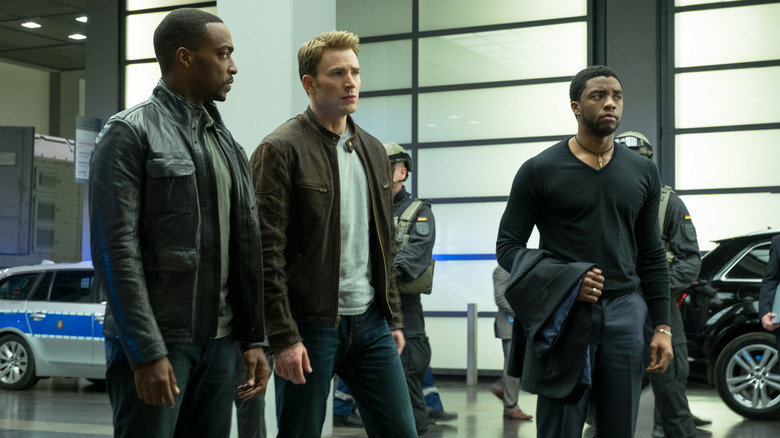 Whereas Hemsworth and Evans needed to pack on the pounds in a short span of time, Boseman's goal of remaining lean meant he could increase his body mass at a slower rate. This will provide room for extra emphasis on cardiovascular and circuit training, to burn more calories. For explosive movements, Boseman would focus on plyometric training, which increases power by working on "fast twitch" muscle fibers. Combat training tops it all off, with training in a varied mix of martial arts, including capoeira, karate, kung fu, and jiu-jitsu. Finally, much of the changes that drive body transformation come from nutrition. Boseman's hard work in the gym would be wasted if he didn't fuel his body the right way. To pack on muscle, he'd require a caloric surplus to increase mass. In order to stay lean and keep body fat to a minimum, this surplus would presumably be lower than Hemsworth or Evans. His diet would however still include the staple complex carbohydrates (oats, brown rice, sweet potato), healthy fats (fish, nuts, eggs) and, of course, tons of protein. 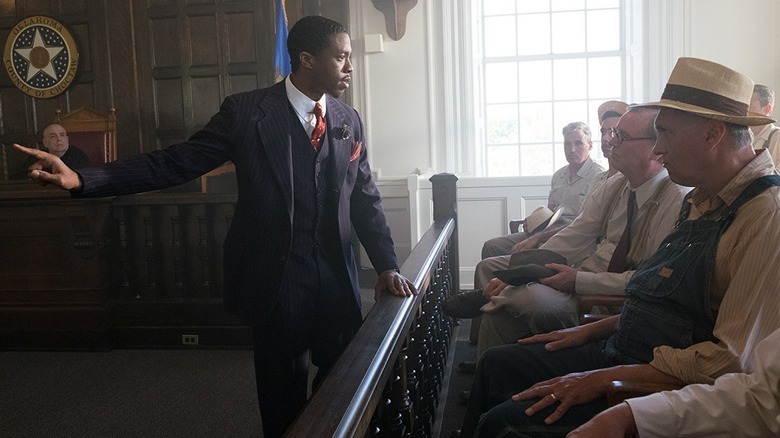 Sandwiched between performances as Black Panther, Boseman played Thurgood Marshall in the 2017 biopic Marshall, replacing Civil War's airport battles with clashes in the courtroom. Understandably, Boseman would look out of place as the future Supreme Court Justice if he maintained the mass, so to fit tailored trousers and well-fitted blazers, the actor needed to strip away 25 pounds of hard-earned muscle. Boseman trained for five months before Civil War. When filming concluded in August 2015, Boseman had until mid-December to lose the weight for filming Marshall. He wasn't downbeat about having to slim down, however. Talking to South China Morning Post, he said: "There's just as much gymnastics, just as much spectacle in the spoken word as there is in the physical body. The tongue is a muscle, too. It really doesn't matter whether I'm running or doing capoeira or I'm speaking long speeches, it's an exercise regardless." Between the wrap on Marshall and the beginning of Black Panther's production in January 2017, Boseman needed to recover lost muscle mass to ensure his shoulders could carry the weight of expectation for his return as T'Challa. With the added spotlight and increased screen time, Boseman's training regimen will presumably have been even more intense than his Civil War workout, but the principles will remain the same—a gradual progression of lean mass. 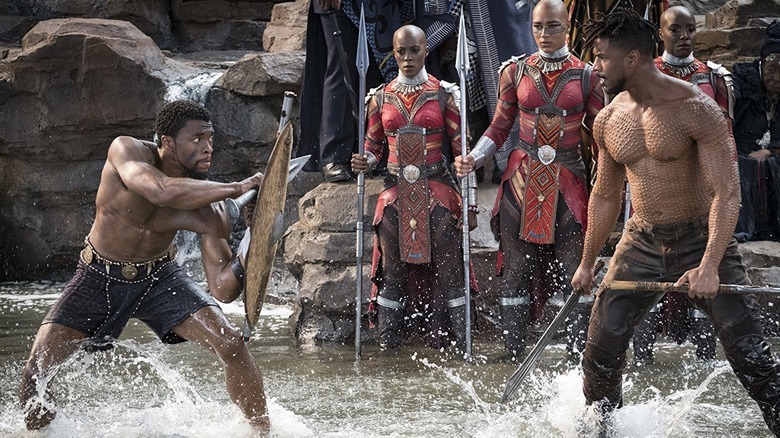 Judging from a video clip showing Boseman sparring with his training partner, a large portion of his preparation will be spent ensuring Black Panther looks just as good, if not better, during combat scenes. And the added responsibility of returning to Wakanda a newly crowned king isn't the only incentive for T'Challa to be extra lethal. T'Challa is set to face his very own nemesis—Killmonger. A supervillain in the comics, Michael B. Jordan's live-action equivalent, Erik Stevens, is a American black ops soldier and a Wanandan exile looking to overthrow the new monarch. Anyone who watched Jordan in the ring as Adonis Johnson Creed will know he's no novice to weightlifting. Jordan has reunited with his Creed trainer, Corey Calliet, in preparation for Black Panther. 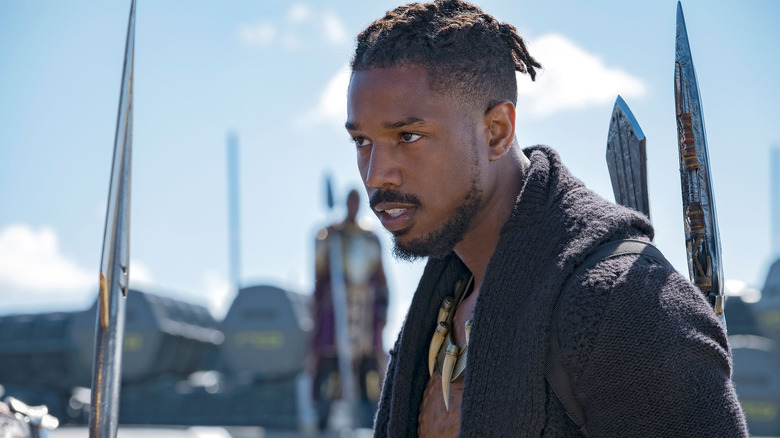 Judging from trailers and photographs from the set, Jordan is building on an already impressive physique to play Killmonger, providing healthy competition for his co-star. Though Boseman's workout routine remains better-guarded than a cryogenic Bucky Barnes, one thing is guaranteed—when the time comes, he'll appear fighting fit, claws braced, and ready to defend his throne.